Aubree is doing great and is attending school full time! 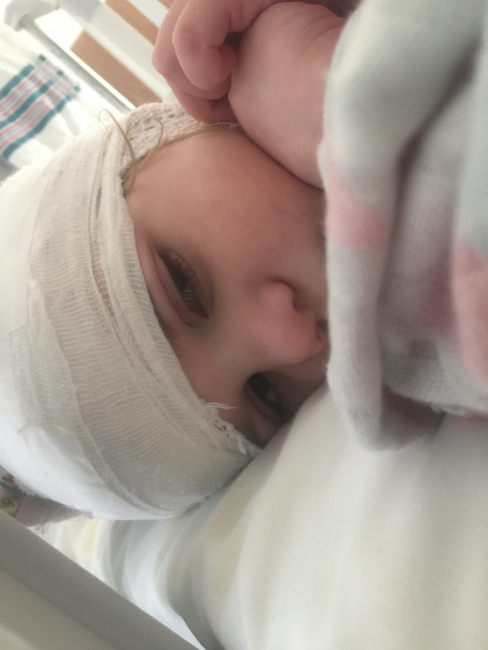 In late October Aubree underwent several medical procedures including an MRI, EEG, and a muscle biopsy. 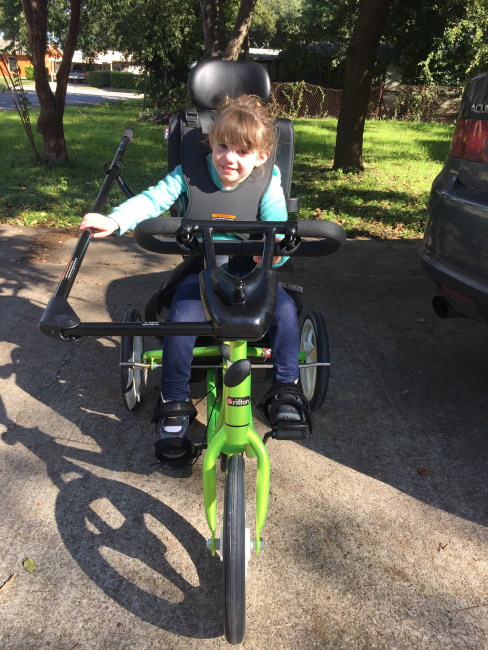 While Aubree and her family are eagerly awaiting the results of her recent procedures, she has been keeping busy with her newest passion, riding her new adaptive tricycle and singing along to her favorite song, Baby Shark. 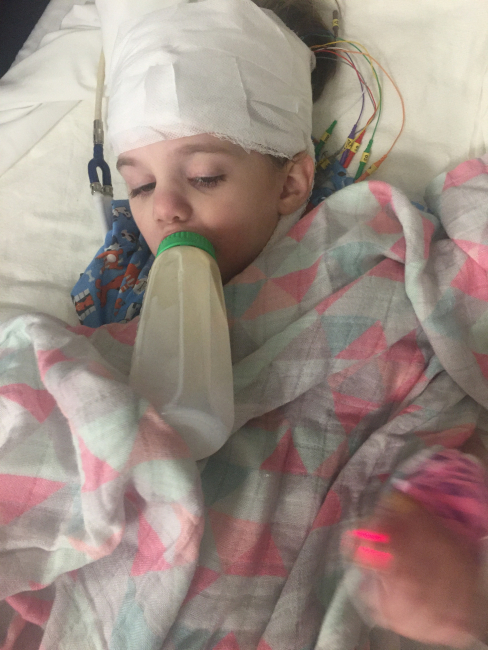 Aubree’s Mom, Desiree shared with us that Aubree had a medication change to address her increased seizures and that she has responded well. We are so happy to hear that Aubree’s personality has begun to flourish and she continues to do well!